Welcome to the first installment of Ninjas in Training! The true beauty of Ninja Warrior is that it requires such a huge cross section of skill-sets, and so everyone tackles their training in a completely different way. We’ll be asking friends of the site to share with us their approach. Jeff, thank you so much for this interview! It means a lot for me personally because I’ve been following your Instagram for ages and quite honestly, you’re such an incredibly energetic and spirited young fella… where does your motivation and drive come from? Hi Adam, thanks so much for thinking of me! Would you believe that I wasn’t always as spry as my social media paints me to be now? Back in 2012 when I turned 30, I weighed in at 119kg of pure, unadulterated couch potato. The most physical activity I did was picking up a 20-litre keg of homebrew beer once a month. My weight had been through ups and downs in the past, but I largely felt like I wasn’t ever in control of my health and fitness. After seeing photographs of what I actually looked like, and having started a young family, I knew something had to change. I started a fitness program of bodyweight exercises and calorie counting with a work colleague, and together by setting similar fitness goals and holding each other to account I started seeing results. My motivation and drive comes from seeing tangible differences as a result of effort put in. I guess I could say that I already knew this from my academic life, but once I started seeing weight loss and strength gains over given time periods, I knew that I had given momentum to a machine that I could keep pushing to new limits. Not only this, but I found that my own journey started to inspire others to bring about positive changes in their lives. I didn’t realise how much satisfaction and drive it would give me to see others succeed based on motivation that I provide them. I love driving myself to be #BetterThanYesterday, and I absolutely love seeing people adopt this mindset too. I’m also not going to lie – I’m human just like everyone else, and some days I just don’t feel motivated to get up and get after it… On those days when I can’t count on motivation, however, I can count on discipline – as long as I am disciplined enough to work hard through the times when motivation is waning, I know that good will come of it. What is it about Australian Ninja Warrior that makes you want to take it on as a challenge? You know it’s a ridiculously hard and insanely, crazy course…. right? I think the fact that it’s a ridiculously crazy course is what drives me. There’s a sense of pride in knowing that I am training to take on something that most people would never dream of attempting, but when I show them where my life has come from in the past 4 years and I see that glimmer of “Wow, he was just a regular guy”, that makes it all the more attractive as a goal. 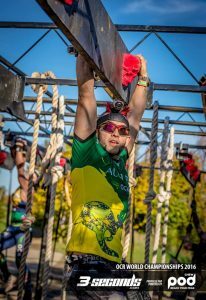 During my body-transformation journey I have used Obstacle Course Races as fitness goals, for which I developed a huge passion for to the extent that in 2015 and 2016 I was able to represent Australia in the OCR World Championships in North America. Taking on Australian Ninja Warrior is like the next level up in my fitness goals, condensing physical and mental strength into an insane package! Where are you training? Do you get to train on any obstacles regularly? How many times a week might you #GetAfterIt? 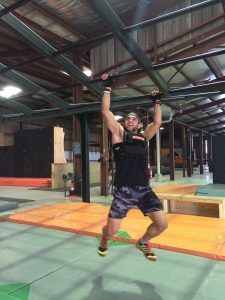 Currently I train at SA Base Camp – a gym created by fellow obstacle racer Luke Williams – which is an amazing indoor obstacle training and fitness facility here in South Australia. It’s one of the largest facilities of it’s kind in Australia. Luke has been able to build an assortment of training equipment such as monkey bars, ring & ball rigs, a huge supercharged dual incline treadmill known as ‘traction control’, ropes, cargo nets, walls and more. At least twice a week I’ll spend time running the course at Base Camp to hone my obstacle skills, and at least 3 times a week I will do gymnastic strength / calisthenic training sessions to work on my grip strength and bodyweight control. I will do 4 running sessions a week including one short run early in the week, a midweek tempo run, a track or hill sprint session, then a long run (3-4 hours) on a weekend. On top of this I will do up to 3 weights sessions to build up lower body, upper body and core strength. Usually in any given week I will have around 10 session with which to #GetAfterIt. This usually sounds extreme to people when I first tell them, but it all boils down to discipline. Most people DO actually have the time to achieve this if they go through and remove unnecessary things from their life. Funnily enough I achieve this still with time to fit in a full time job, part time study, and a young family with a wife and 2 kids. What are your goals for 2017? Big year ahead? Indeed – This year I don’t have as many big ticket items as some previous years, as I’ve found that in learning to train smarter that strategic rest periods will make you perform better. But in a nutshell my goals are: To run most of the Obstacle Course Races (OCR) here in South Australia, and qualify again to run at the OCR World Championships in Canada; Place top 10 in the True Grit Obstacle Enduro, an obstacle race where you try and clock as many km’s on a looped obstacle course in a single 24 hour period; Make a new PB at the Yurrebilla 56km UltraMarathon here in South Australia; but of course the ultimate goal is to make my way into the next season of Australian Ninja Warrior! Does diet play a big part in your life? Coming from my background of weight loss I can say that diet plays a huge part of my life. It started off with an almost OCD sense of tracking my calories so that I could take a look at exactly what I was putting into my body. It was astonishing to see exactly how simple it was to lose weight just by being mindful of how you eat. As you reach a target weight loss goal things can get a little interesting. I started playing with macro-nutrient balances and cycling of carbohydrates around heavy training and rest periods, and found that although total calories could be used as a measure to help with weight loss, the types of calories that are taken in will greatly change your performance as an athlete. I began to experiment with intermittent fasting techniques, paleo diets and even Ketogenic diets. I am currently following a bit of a “train low, race high” eating plan, and I could bore everyone for hours with my ranting and raving on nutrition – so I might just leave it at that but would invite anyone wanting to chat further to hit me up on social media! 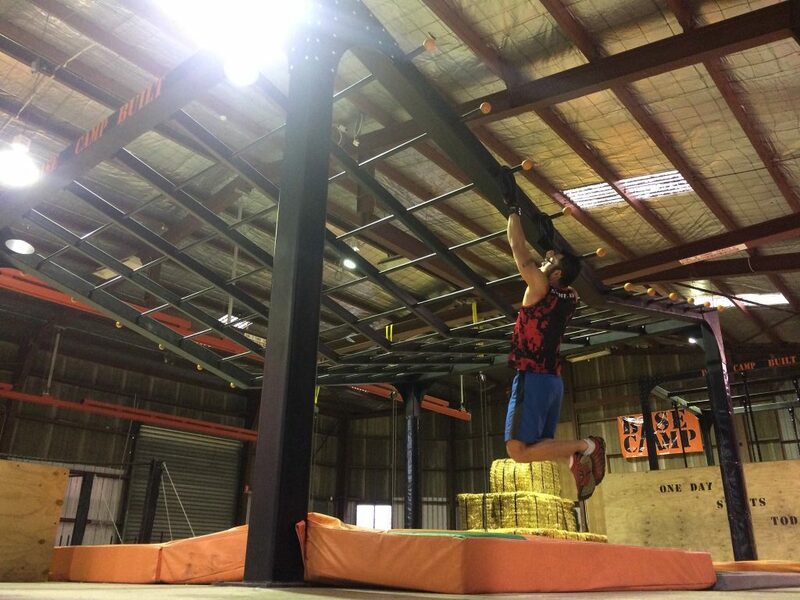 Do you have any tips for new readers wanting to also train for Australian Ninja Warrior? Australian Ninja Warrior is as much a challenge of mental strength as it is physical. A lot of the time, unless you have specialised facilities, you will not know exactly what obstacles are in store for you on your run. You need to train hard enough physically so that mentally you are strong enough to take on something completely new and unfamiliar, and to have the courage to commit to giving it everything you have got whilst you are in the moment. Overcome your fear of heights, stage fright, camera’s, and making leaps of faith. Learn to thrive off the excitement of the unknown. #GetAfterIt! Thanks so much Jeff, if peeps want to follow you and all your adventures, what should they hit? Thanks again to Jeff for being so sharing with his training, his goals and his progress. We wish him the best of luck (and discipline) in his goals for 2017. These articles are all about building the Ninja Warrior community in Australia and helping each other out. If we help each other out, we all get better, and if we all get better, we can take on the world – how good would it be to see an ‘Australia vs The World’ Ninja Warrior special? Please note : We can’t tell the future, we don’t know if our interviewees will actually make it onto Australian Ninja Warrior. They are athletes that we find inspiring and hope you will too. 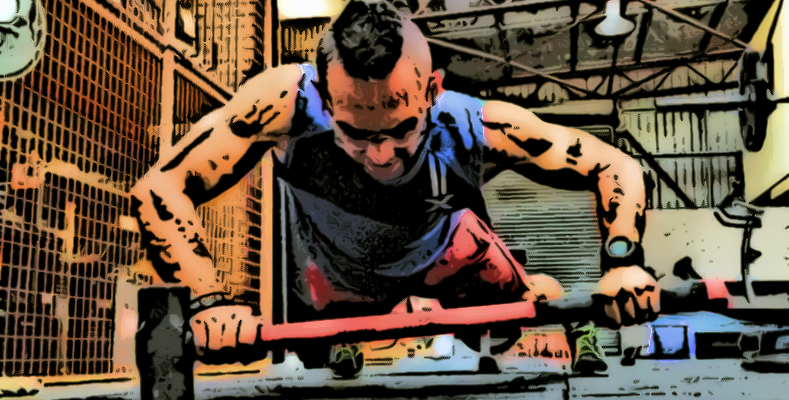 ← HIIT for Ninjas – A guide to prevent ‘gassing out’.